Youth excites me. The youth in men. The youth in women. I have to hold on to the fact that all of life, human life, humanity, flora and fauna, and the lost and found are a happy gift. When I was a very small child I wanted to cut holes in the floor of the sun to let the sun in. Peak into my neighbors’ attics. I did love him. There I said it. I loved Raj. He made me happy in his own way. Don’t you want to be a mother sweetheart, he would often ask me with bright eyes. I would just blush and smile. I can still hear his voice. I love you but you are a baby. You’re too cultured. Too well-educated, baby. I said I wanted children. How can I let a child raise my children? Now you are a wonderful husband who does not have the time of day for me anymore. I love you. Honestly, I do. I love you to death and it was another death in a succession of deaths. I love you but you are a jerk. You’re happy being a jerk. Happy when you let me down. Whenever I started to cry you left the room, Raj, the poser. I know what happiness is now and it is not having you around. Dancing with you in front of the television, listening to Sinatra on our wireless always brought tears to my eyes. Whenever that happened you would draw me in closer to you and whisper in my ear how beautiful I looked. How much you loved me? It didn’t matter what the neighbours said. Once we were lovers. I began to write to him in grocery lists. I could hear his voice in songs about broken hearts. As I drew up a list of the ingredients needed to his favourite meals. I would write in my journal to him. I did not write to an address. 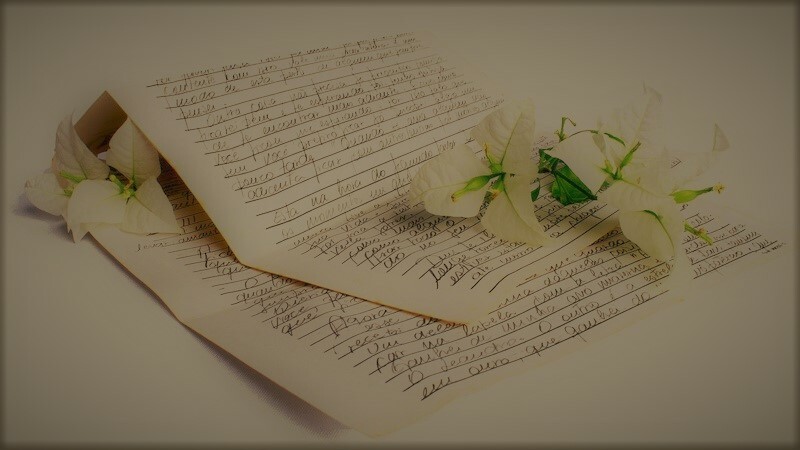 I knew all my letters to him would be returned to me marked ‘Return to Sender.’ I didn’t know if I was writing love letters or hate letters. This beautiful television actress. Sonja starred in a soap. I watched her for free on television. Everybody on television was beautiful and sane. They did not know what the words ‘mental illness’ meant. Recovery. Relapse. Posh clinics hidden away in suburbs filled with gated houses. Trees that spilled over into the streets. How I hoped that he was happy. I knew he was in a way. On the one hand, I wanted him to be happy with the way our relationship had turned out. I was happy. This is what I have to say to you. I loved Raj for a very long time. You showed up Raj and everything in my life was transformed. So was my imagination. Magic. Let me talk about the word ‘magic’. In the beginning of our relationship time would pass and we slowly began to think more and more of each other. I would look out of the window. See the more elaborate costumes that other women would wear. Armed with their perfume, their lipstick, their powder and their attire. The heels that they tottered about. I often longed to escape to the places that Raj, the film and media lecturer found himself in. I also wanted a child to put on my lap and ask someone to take a picture of us because I loved that child so much that I wanted it etched in memory forever in a photograph. I thought babies made every woman happy. I thought that bringing life into the world was some kind of wonderful. I wished I had a husband to take that picture. I think that Raj, the man with the light eyes had many girlfriends. On and off they would fit into his life until he said, enough. ‘I never do that. I never fall in love.’ I can imagine him saying to any one of those girls and it burns a hole in my heart. The older women, well, they are far from ruined if they do not have a man at their side. They think they will die rather than go out alone. In their children’s eyes, they see visions of what they were like as children, as teenagers struggling with acne, choosing clothes, washing the angelic shine of wisdom and childhood off when applying mascara, when they fought with their mother who had to endure their tantrums. At night, the young girl will sob into her pillow. The older woman who had to endure World War 3 the whole day will perhaps have a lover, or a book. Inside my head there is no ending and no beginning to the relationship I had with Raj. After all these years he is still my romance. The affair to remember.